After flying through the air with the greatest of ease, how about some down-to-earth fun? 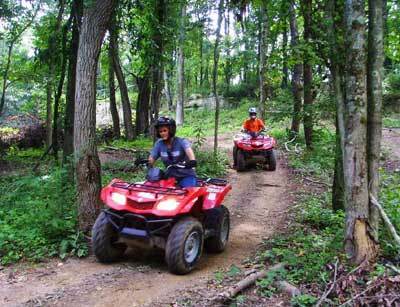 See the Hocking Hills from a different perspective when you hop onto an ATV and hit the woods at Hocking Hills Nature Trails. They have a huge expanse of land here with trails to suit all tastes from easily-navigated routes for beginners (or those who want to go a little slower and maybe hope to see a deer or two) right through to a rough course where rocks, ruts and fallen branches have been left on the trail to make it more challenging. There's a big open grassy field where you can "open her up" and speed around a lot faster than you can in the woods and then there's what is for many riders the most beloved of areas---the mud hole! There's something very primal about blasting through the mud pit and sending the muck flying in every direction, knowing that your ATV is equipped with 4-wheel drive to keep you from getting stuck. Some riders come just for the pit and spend their whole session charging through the mud; they'd consider it a sin to leave the premises without a head-to-toe mud splatter. Obviously if you are going to do this you need to come dressed appropriately; that's something to consider even if you aren't hitting the mud because there can be puddles on any given trail at any time. www.hockinghillsnaturetrails.com Located in Logan. Yes, with the sound of music. Musicians and music fans have a rare opportunity to enjoy an informal evening of entertainment thanks to a long-standing tradition at Studio in the Woods. Studio in the Woods is one of the many places to stay in the Hocking Hills where you can get away from it all yet still have all the comforts of home. In other words the accommodations here are not rustic cabins but they are tucked away in the forest so you have plenty of privacy. 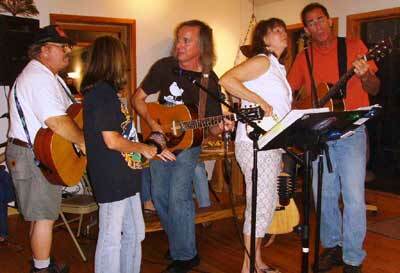 On most Friday nights Studio in the Woods hosts Bella's Café, an all-night-long jam session where everyone is welcome to come and listen or join in the picking and singing. 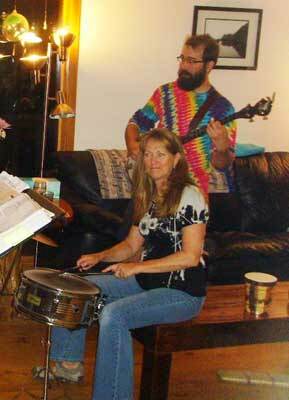 The folks who show up to play are collectively known as the Twisted Pickers and if you show up once to play then you're a permanent member of the group. The fun takes place in a large living room furnished with a piano and dozens of acoustic instruments of all sorts and there are comfy chairs all around. The atmosphere is completely down-homey and friendly as people pick up an instrument and play for awhile then maybe switch instruments or sit for awhile to chat and sip wine. People come and go throughout the evening and the music doesn't stop until the last player calls it a night. Again, this is very informal and you don't have to be staying at Studio in the Woods to participate. There's no cost either but you can take some food for the pot-luck dinner and some wine or beer if you like. Call for more info and directions: (740) 332-6076. www.hockinghillsstudiointhewoods.com Located in Rockbridge. It's always fun to seek out some of the things that help to give a particular area its personality and the Hocking Hills have a couple of spots not to miss. First up is Etta's Lunchbox Café and Museum located near New Plymouth. At first the place looks like a typical roadside eatery, and indeed Etta's menu of sandwiches and other lunch items keeps the café packed. But while you're waiting to fill your belly you can feast your eyes on an amazingly diverse collection of 850 lunchboxes, a display that includes everything from the first humble boxes ever made through to boxes featuring today's designs. There are lunch "pails," boxes showing cars, planes and spaceships, celebrity boxes featuring everyone from the Beatles to a goofily-grinning Cheech & Chong and of course Hello Kitty. Boxes celebrating TV shows, Popeye, cowboy Roy Rogers, Barbie, all sorts of cartoons, the Hooter's Girls and dozens of one-off designs are on display. 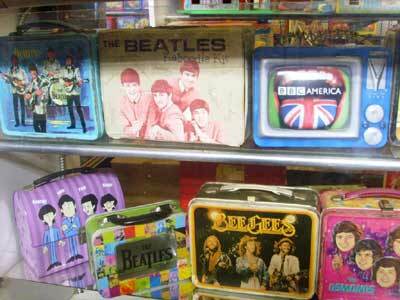 Chances are if you carried a lunchbox in your younger days you'll see one like it at Etta's. NBC's Today Show has visited this wonderful tribute to pop culture and you can see it for free with any purchase in the café. And if Etta's general manager isn't too busy he'll personally show you around and share anecdotes about the collection with you---ask for Tim. Closed on Wednesdays; call for more info and directions: (877) 380-0739. 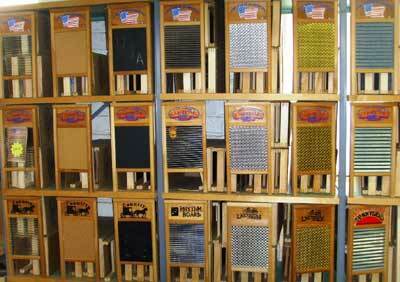 Musicians in particular will love the Columbus Washboard Company Factory. Yes, this place is exactly what it says---a factory that makes washboards, the old-fashioned clothes laundering gadgets. Folks all over the world still use washboards to clean their clothes and Columbus Washboard supplies a great deal of these, including putting them in care package-type kits to send overseas to American servicemen and women who are in combat zones and often have no other way to do laundry. But most washboards sold today are used either as decorative items or as musical instruments and here you can see and purchase a wide variety of either kind. The boards come in various sizes and with various "rub surfaces;" different metals and different styles of corrugation give the musical ones unique tones while decorative washboards can feature the traditional metal rub surface or glass, mirror, cork or even chalk board. The tour here is self-guided and you'll see row after row of different styles of washboard, some historical pieces and at certain times you'll get to see the boards being manufactured. And since the place is frequented by musicians, you might even get treated to an impromptu washboard hoedown in the hills! www.ColumbusWashboard.com Located in Logan. 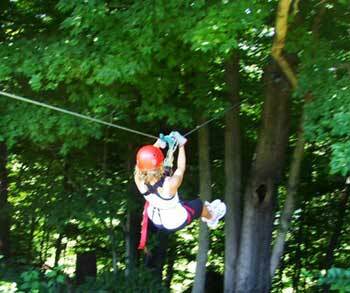 With all the fun and exciting things to do in the Hocking Hills it would be easy to forget that relaxation is also a top draw here. To top off your visit to the Hocking Hills with style and class you need to spend an evening at Glenlaurel Scottish Inn & Cottages. Glenlaurel is one of Select Registry's "400 most distinguished inns of North America" and indeed if you stay here in their Manor House, Carriage House or one of their cottages you will experience the ultimate in country comfort. Guests who are not lodging at Glenlaurel can visit at dinnertime for a treat not to forget---how about a six or seven course gourmet meal served in a beautifully-decorated and intimate dining room, complete with views of the equally impressive grounds? 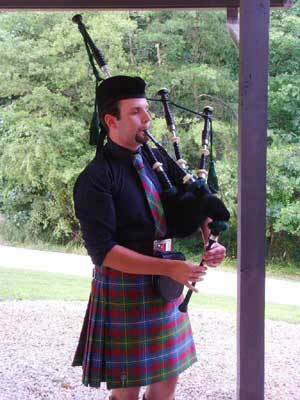 Glenlaurel always hosts a "welcome" get-together before dinner and you will certainly know when it's time to forego the appetizers and get to the table; that's when the bagpiper, dressed in full Scottish regalia, leads a procession into the dining room. Part of the reason that Glenlaurel is so amazing is the involvement of owners Greg and Kelley Leonard; the pair are "hands-on" innkeepers and all of their efforts go to keeping the inn fun and welcoming. An evening spent strolling the grounds, dining and mingling with guests (and the bagpiper!) will be something you'll be talking about for a long time. Dinner reservations are a must; call (800) 809-7378. www.glenlaurel.com Located near Rockbridge.